Xylys launched a campaign called – 'Stay Inspired' crafted on the philosophy that truly successful people always stay inspired. Farhan Akhtar challenges the boundaries of 24 hours in this beautifully crafted commercial. The exceptional conception of the commercial resounds Farhan’s personal belief in -"It is never too late to be what you might have been", as once quoted by the famous George Elliot. Rajan Amba, global marketing and product head, Titan Company, said, "Xylys exemplifies the legendary finesse of Swiss watchmaking and the brand mirrors the zeal to create perfection. Today is the time for entrepreneurship in India. We wanted to capture the entrepreneur's mind - he who is always inspired and always makes time to follow his passion. We asked ourselves, what is the energy that keeps him ticking? That's where this idea was born. Stay Inspired is a big idea and connects the emotions of the brand with those of the TG perfectly. Xylys, as an entry-level premium Swiss watch, is the perfect everyday companion for the '25th hour' guy as he pursues his dreams. It's that little daily dose of inspiration that helps him Stay Inspired." Along with this film, the campaign also consisted of digital, print and outdoor. The brand uses the term 25th hour to describe this special time that they create. 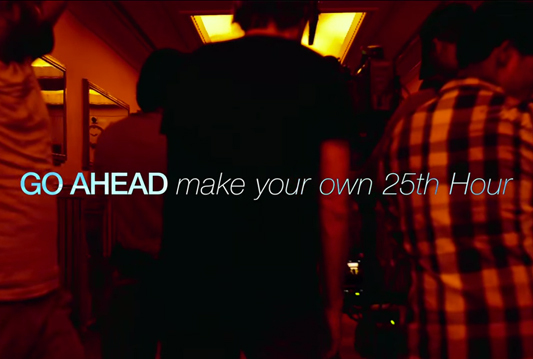 The digital part of this campaign encouraged people to find their passion on the 25th hour and send pictures. This was followed by a voting for the 13 finalists.